While it was not at all surprising to see the harsh cuts that he has proposed, it is still disheartening to see that the Trump administration is choosing to continue onward with their proposed cuts to the most vulnerable in our country. Cutting $237 billion in Medicare over the next 10 years? Our elderly and disabled neighbors will suffer directly from these cuts. Cutting food stamps via the Supplemental Nutrition Assistance Program by $213.5 billion over 10 years? Our neediest and hungriest families and children will remain hungry. Cutting $72 billion in Social Security by requiring disabled individuals to work in order to receive support? This is just flat out wrong. What is even worse than the suffering these cuts will certainly cause—the hunger, the lack of medical care, the forced necessity of painful working when physically unable—is the lack of dignity that these cuts will cause. Another fact of the Trump administration’s budget cuts includes changes to the methods of ensuring that people have adequate food and nutrition. They are now proposing that people must receive specific food and canned goods distributed by the government instead of allowing a more self-directed choice of food via traditional grocery stores. They are trying to put a positive spin on the program, calling it a “Blue Apron-type” of program and saying that it is a “bold, innovative idea.” Please. There is nothing innovative about this change whatsoever. This is not the first time the federal government has worked to distribute food directly to those in need. After all, where else would our popular culture get the phrase “government cheese?” It is an insult to those in need to try to put a happy face on their desperate need to feed themselves and their children. This simply seems to be going backward in common sense, practicality and dignity. So we are now going to have people standing in line, waiting for their governmentally-distributed food boxes? With hats in hand and crutches under their arms? We should call on every elected official who will listen. We need to tell them of our concerns with these slashes to our safety net programs. After all, what is a safety net if the ropes are slashed through? Seems to defy the very meaning of the phrase, doesn’t it? We should call it a “used-to-be-a-safety-net” program. The Super Bowl this year reminded many of us of our favorite native son, the “Minister of Defense” Reggie White. I remember something he once said that rings true today just as when he said it years ago. “God places the heaviest burden on those who can carry its weight.” That’s sure not the perspective President Trump is viewing us all from, is it? He’s putting the heaviest burden on the ones least capable of bearing up under its weight. That is shameful. 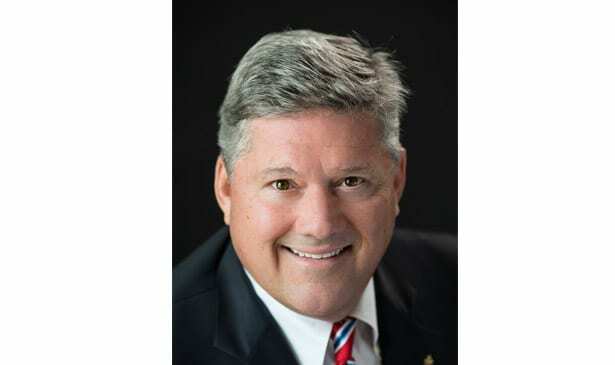 Bill Freeman is the chairman of Freeman Webb Inc., a real estate investment, management and brokerage company based in Nashville, which he co-founded in 1979. He is a Democratic Party fundraiser, the former treasurer of the Tennessee Democratic Party, a member of the Metro Nashville Airport Authority, a member of the Board of Trustees for Tennessee State University and was appointed by President Obama to serve on the advisory board of the John F. Kennedy Center for the Performing Arts.